Lome: Clad in the apron of his trade, Bonaventure Boma chides employees while they take steaming baguettes out of the hot ovens that have helped make him “the king of bread” in Togo. 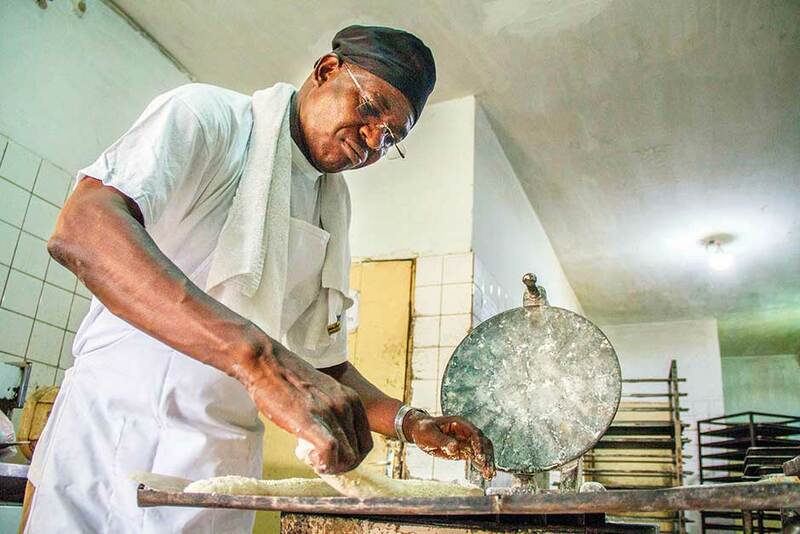 From a modest background, Boma has spent 30 years kneading dough and now has two large modern bakeries in Lome, capital of the west African country. French bread used to be a rare commodity in Togo, not surprising as wheat is not grown in the country and must be imported. But Boma has led the push to widen its appeal, making his flour from sorghum, cassava and yams, all cultivated in northern Togo, where he introduced his baguettes last month. A further 100 bakeries are estimated to have opened across the country. It reflects the rising popularity of bread among the urban middle classes in west Africa, with even big French retailers such as La Brioche Doree and Paul opening shops in Dakar and Abidjan. Boma knows all about hard work. As a 13 year old, he worked in groundnut and millet fields for the equivalent of 0.38 euro cents a day ($0.42), roughly the price of one of his baguettes today. After opening a small grocery store, he founded his first bakery in 1992 with a €45,000 bank loan (Dh185,093 or $51,100). The business expanded to two bakeries and his company, Bomaco, is now a household name, employing about 80 people. “The loaves from the Bomaco company have an exceptional flavour,” said Albert Djinou, owner of a supermarket in the capital that buys Boma’s bread. The success of Boma’s bread even earned him an invitation to represent Togo at a bread fair in Milan two years ago, where a key theme was “feeding the planet”. Sub-Saharan Africa as a whole imported more than 23 million tonnes of wheat in 2015, according to the US Department of Agriculture, and Boma believes the demand for wheat will continue to grow. An optimist, Boma is now thinking and talking big, with plans to open his own national bakery chain and even a large seafront hotel. “In the hotel business, in gastronomy, I’m betting on an African clientele. I’ve just come back from Accra and I noticed that there are almost no white people today in the grand hotels, there are only Africans,” he said.